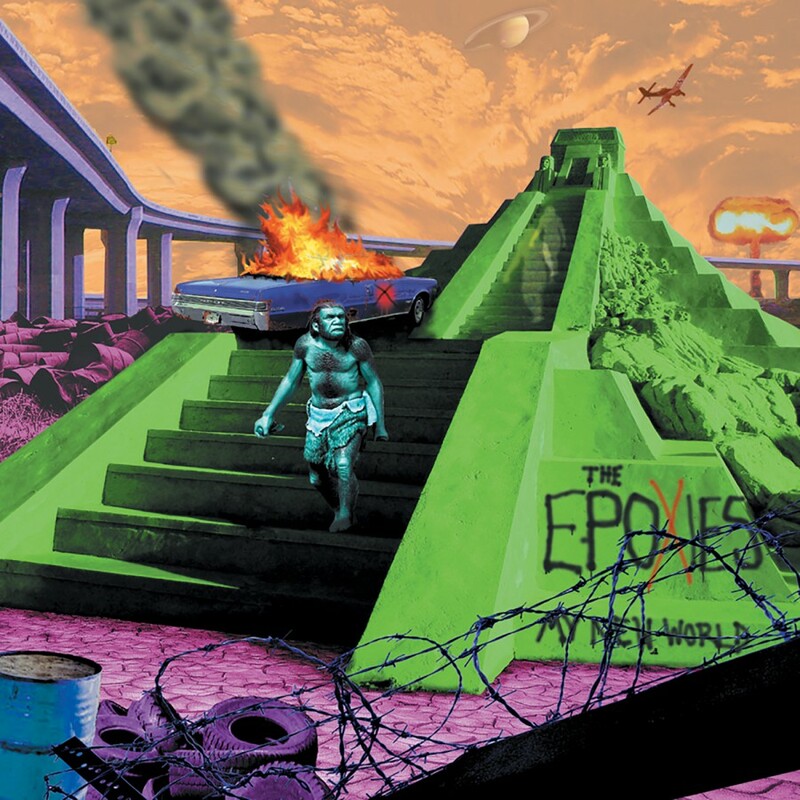 Based out of Portland, OR, The Epoxies made a name for themselves on Fat Wreck Chords with their album Stop The Future. Their mix of new-wave synthesizers and punk rock elements proved to be a volatile concoction and the band landed on countless tours in 2005 with the likes of the Undertones, The Aquabats, Me First And The Gimme Gimmies, Against Me!, and many more. Signing with Metropolis Records in 2007, The Epoxies are now preparing a brand new album for release in the fall. Until then, Metropolis and The Epoxies are proud to present the My New World EP. Featuring five very distinct tracks ranging from the electro punk title track to the melancholic Here In The Dark to the old school Tragedy, the EP serves up a healthy dosage of what to expect from the forthcoming album.